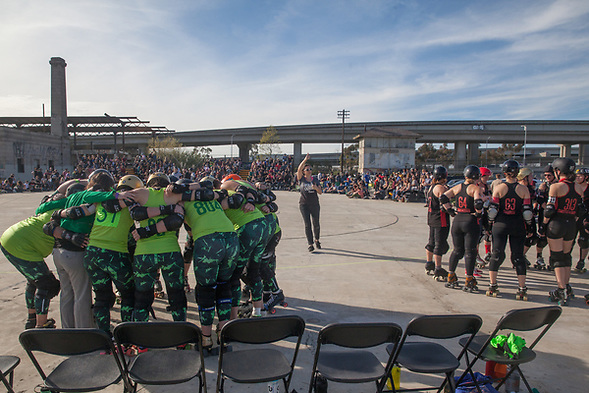 Bay Area Derby opened their regular season at the Old West Oakland Train Station ten days ago. 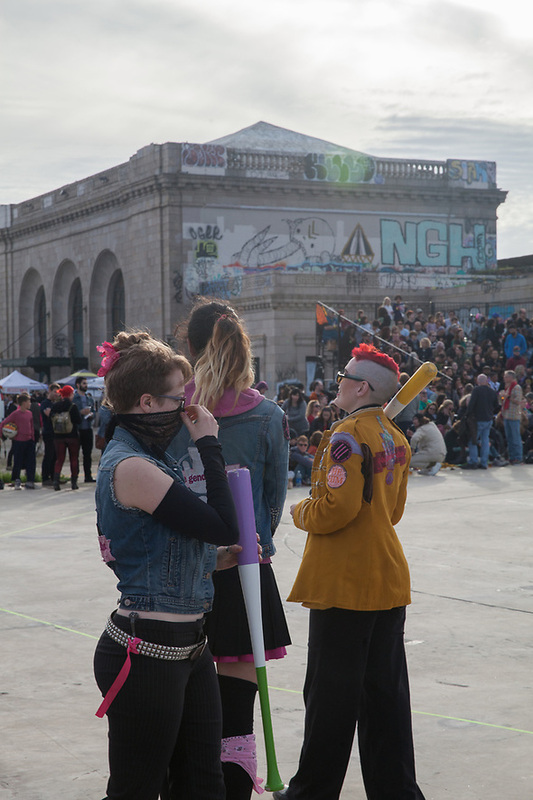 The roller derby bout was held outside the abandoned train station on Saturday, March 18, 2017. Here is the photo gallery from the season opener. 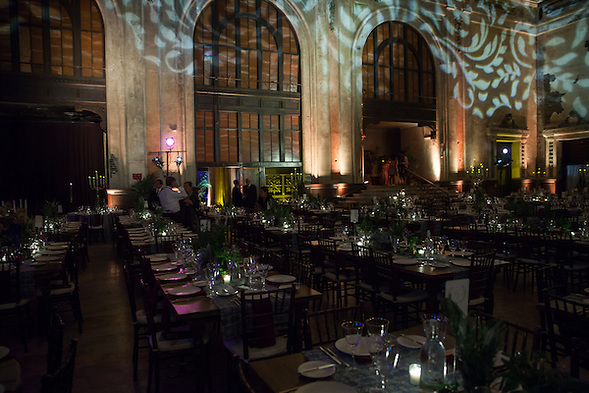 I have also photographed an event inside the 16th Street Station. On November 7, 2015, I photographed a fundraiser when Mayor Libby Schaaf celebrated her 50th birthday at the historic site. This year’s season opener was historic because of the new venue, but the result was also unusual. 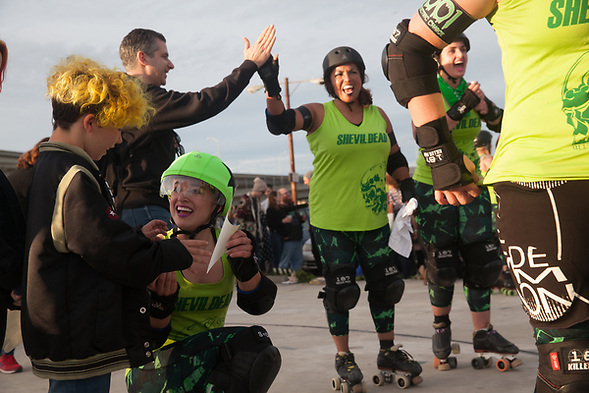 San Francisco ShEvil Dead defeated the Oakland Outlaws 186-114. The ShEvil Dead victory equaled their win total from the three previous years. The new venue seemed appropriate for roller derby. Old and new had found a place to interact and coexist. Nothing felt out of place. 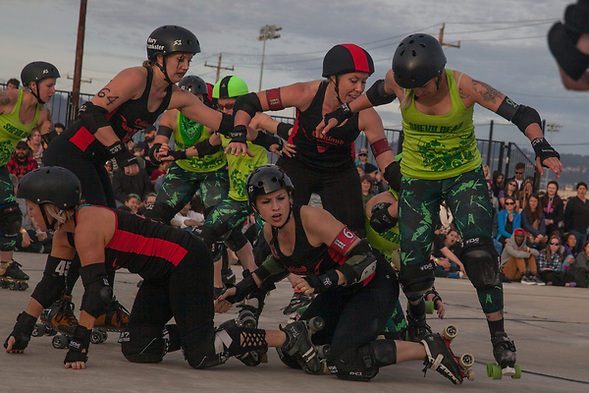 When I watch derby on a foam surface, I forget that the sport is full of full contact. The cement does not give. It is unforgiving. 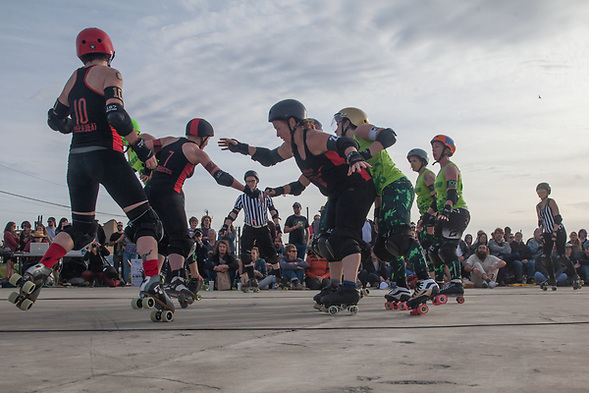 In the end, the harsh sun and stark surroundings emphasized roller derby at its best. Role models encouraged young people and the community supported a young sport. This entry was posted on Tuesday, March 28th, 2017 at 11:36 pm. It is filed under Roller Derby and tagged with Bay Area Derby, Oakland Outlaws, Old West Oakland Train Station, Roller Derby. You can follow any responses to this entry through the RSS 2.0 feed.